Silver antoninianus, 22mm, 4.27gm, issued AD 250/251. Rome mint. 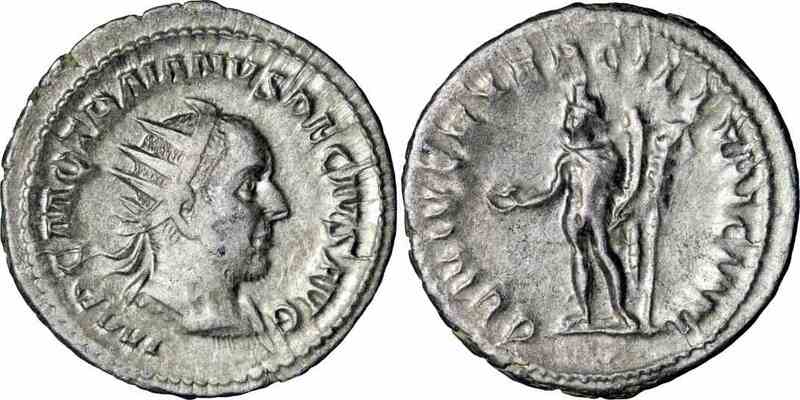 Rev: GENIVS EXERC ILLVRICIANI, Genius of the Army of Illyricum standing left holding patera and cornucopiae, standard behind. References: Sear 9374, RIC 16c, RSC 49.